Moore County 4-H is dedicated to providing youth with positive and educational summer camp experiences. 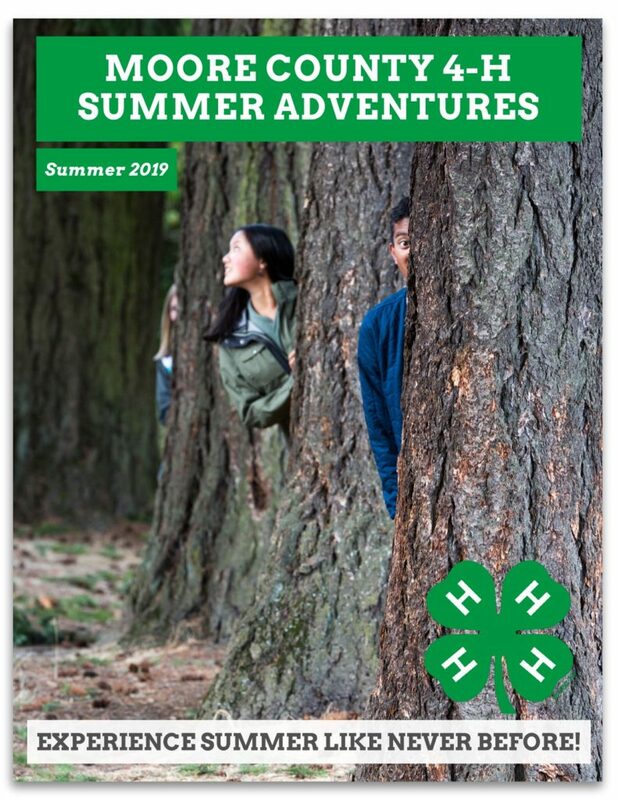 4 -H Summer Adventures is a collection of educational workshops, field trips, and hands-on activities designed to give youth positive learning opportunities which focus on developing valuable life skills. These programs are presented by 4-H, the youth development program of NC Cooperative Extension, Moore County Center. ⇒ Registration for active 4-H members* begins Monday, April 8th at 4 p.m.
⇒ Registration for the general public begins Friday, April 12th at 10 a.m.